MUMBAI: How do you celebrate a celebration in itself? Maybe thinking of the same, the erstwhile Minister of Culture, France, Jack Lang first organised a festival in Paris 35 years ago. This was conceptualised by a multi-faceted French artiste, Maurice Fleuret, who was inducted by Lang in his ministry. Fleuret learnt that one of two children play a musical instrument, hence he thought of encouraging this culture. The festival is called Fete de la Musique, literally meaning, Celebration of Music. The festival was designed in two segments one for amateurs and other with established artistes performing free concerts at parks and public spaces. Some debate that American Joel Cohen thought of a music night in France, which got the ball rolling. In three and half decades, the festival and celebrations both have become a part of Pop culture and is celebrated in more than 120 countries. Each country and region within can boast their own style of music. India in itself has so many styles and types of music that it itself makes for another world. Across the globe, many music concerts are arranged to engage audiences in music throughout the day. In India too, many platforms have taken initiative to commemorate this day. Artist Aloud, a platform by Hungama that supports and promotes independent music, is back with the third season of its much-awaited musical gala, World Music Day Festival in association with Hard Rock Cafe. Bringing together music enthusiasts from all over the country, Artist Aloud and Hard Rock Cafe will celebrate World Music Day in its full glory on 21 June 2018. This celebration will be done across eight locations covering North, West, East and South zones, wherever Hard Rock Café is present in the country. The concert would be held in Mumbai, New Delhi, Bengaluru, Pune, Hyderabad, Gurgaon, and Kolkata. Many artistes have wished their fans and music lovers with a message. 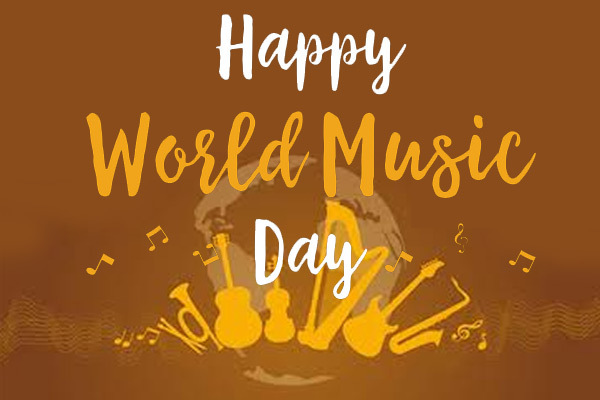 Happy World Music Day everyone!